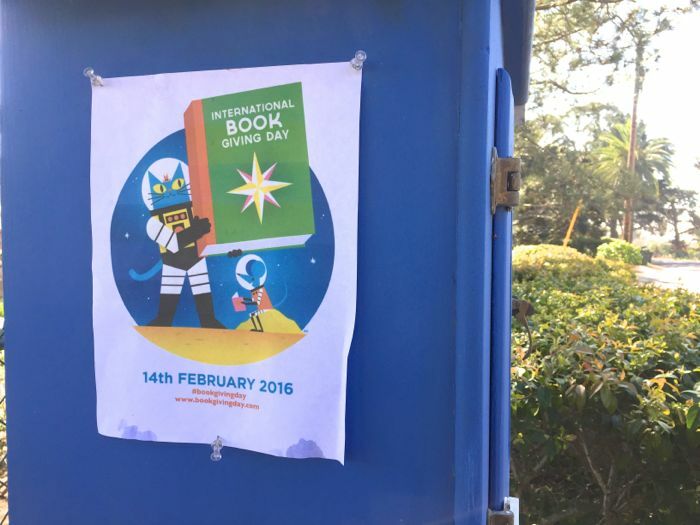 Chicken Blog: International Book Giving Day! Leave a Book in a Waiting Room or Lobby. There are some pretty bookmarks and bookplates available for free downloading at Book Giving Day. 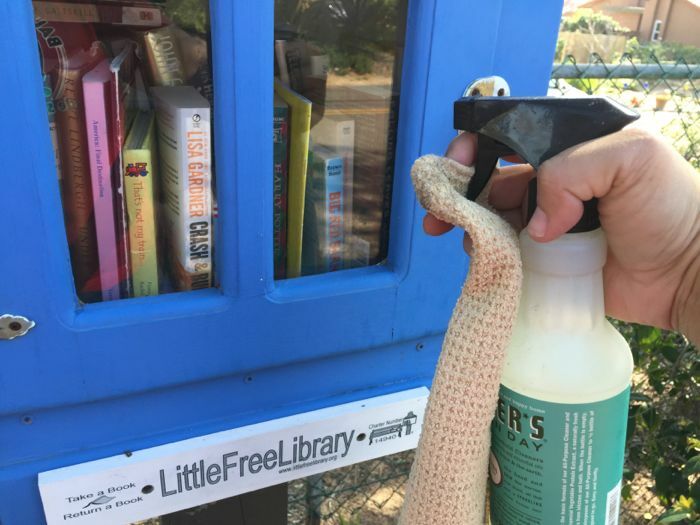 Maria and I tidied up our Little Free Library for the special day. 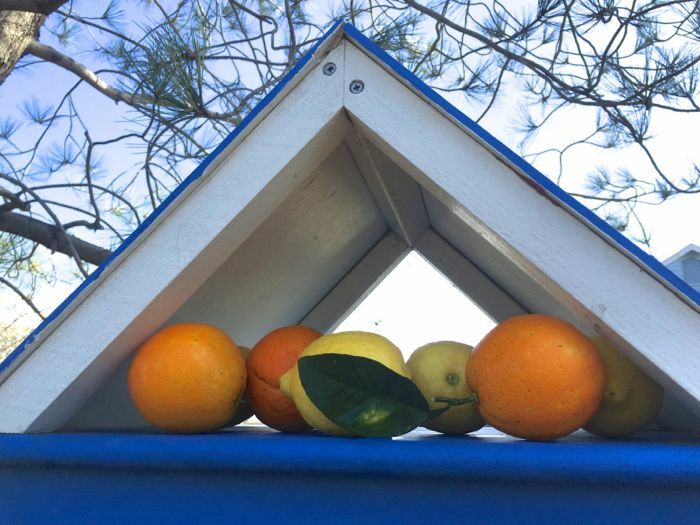 Fresh treats for our doggie friends, and fresh lemons and oranges for our neighbors. We would love to hear how you plan to celebrate tomorrow! My parents instilled in me a love of reading, so naturally I think books are the perfect gift for all occasions. I have never purposely left one for someone to find, but I like that idea. Isn't it a fun-thoughtful way to celebrate? The concept makes me happy. 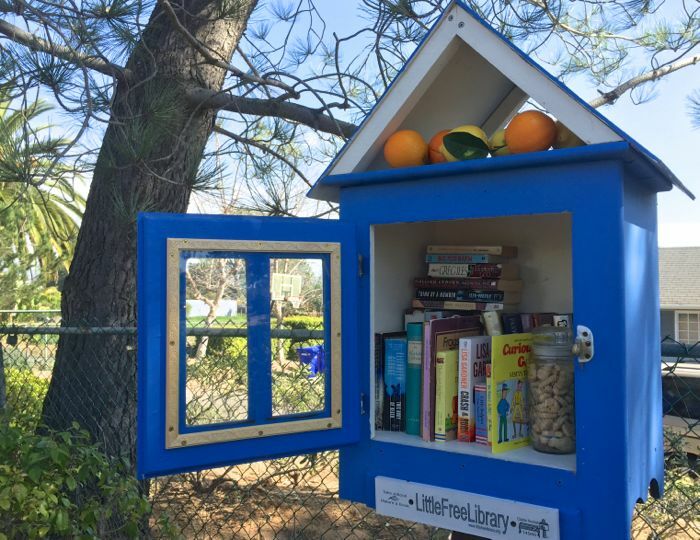 I'm so delighted to see the Little Library looking so loved!